Description: Blue plastic muffin/cupcake liner (plastic version of the paper liners that cupcakes and muffins are cooked in). The sides of the muffin container are scalloped. 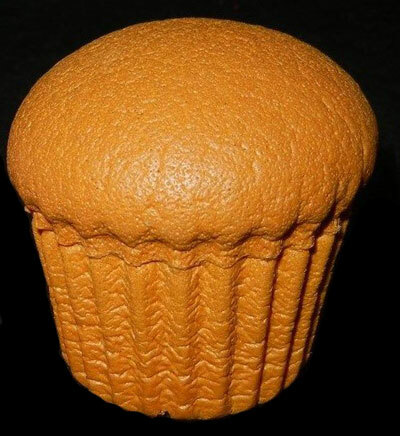 Description: Orange (Orange/Light Brown) sponge-material "Magic Muffin"with scalloped edges to fit within a muffin/cupcake liner. When stuffed within a liner, the muffin appears to "magically rise". 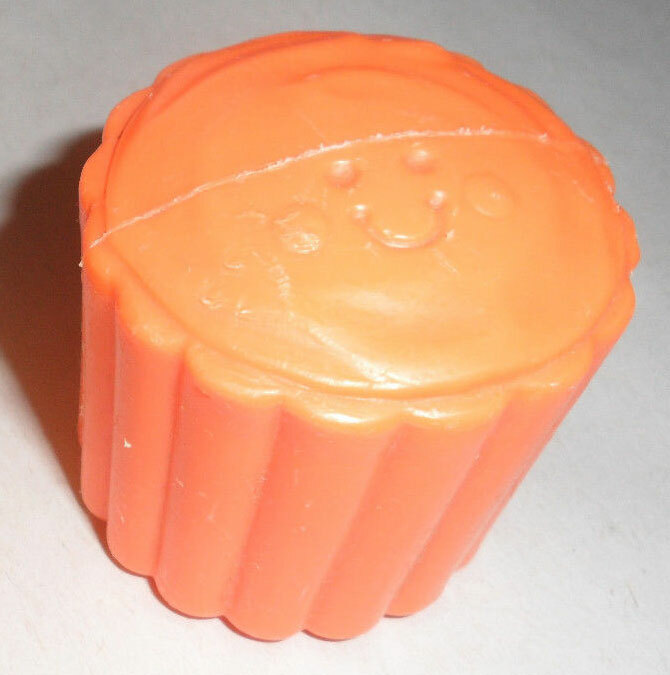 Description: Orange round cupcake with scalloped edges and a smiley face imprint on top. Measures 1-3/4" diameter x 1-3/4" tall. 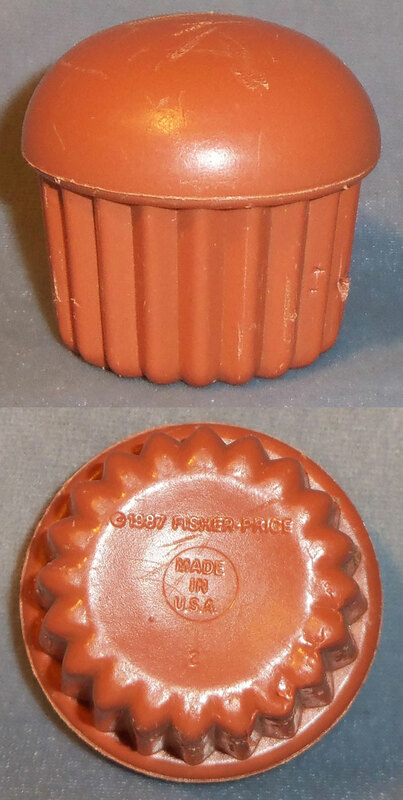 Description: Orange round cupcake with scalloped edges and a cherry bump on top. 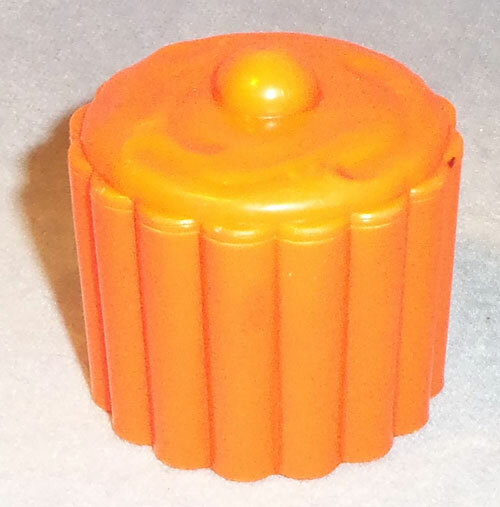 Measures 1-3/4" diameter x 1-3/4" tall. 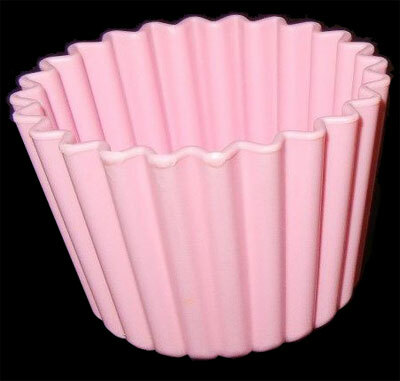 Description: Pink plastic muffin/cupcake liner (plastic version of the paper liners that cupcakes and muffins are cooked in). The sides of the muffin container are scalloped.